In 2018 I thought it would of without saying the if you have an e-commerce store that you would also have an abandon cart sequence. What I am discovering is that many online retailers are still missing this as part of their sales funnel. It goes without saying that your market attention is split in many directions and at the time they are browsing your store they are also looking at alerts from social media, emails, phone calls, texts etc. It is not uncommon for some to add an item in the cart and then leave the website to do other things. Most likely they will forget that they were on your website in the first place. That is why sending abandon cart sequences are so profitable. A simple email reminder at its most basic may be enough to get the prospect to complete the sale. According to Omnisend, 2018 sending 3 abandon cart emails results in 69% more sales than sending a single email. Imagine what all those other online retailers are missing that do not have an abandon cart sequence in place. This is where I think smaller store can really win. If a small Shopify store had an abandon cart sequence set up so when their prospects left items in their cart. 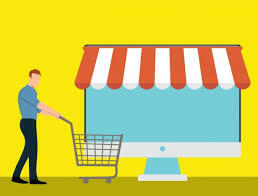 They could save the sale and possible outperform other businesses that have a bigger budget but do not have an email sequence in place to handle abandon carts. I think an establish retailer could mop up all the extra cash that is left on the table because companies do not invest in having an email copywriter create their abandon cart sequence as well. It takes a lot more than sending traffic from Facebook, Google, Instagram and Influencers to make an ecommerce store profitable. As long as these retailers continue to allow the leaks in their revenue from not having something as simple as an abandon cart sequence setup. They are leaving the door open for smaller and smarter retailers to dominate the market. This week being the official start of the Holiday shopping season. There is still time for those that do not have an abandon cart sequence up and running in time for Black Friday/Cyber Monday. To see how you can have an abandon cart sequence created for your business contact me at lauren@storybrandstrategist.com.